Snaps and props to my damn-near home-away-from-home, Aksarben Cinema. They were named the July “Small Business of the Month” by the Greater Omaha Chamber of Commerce, whose name makes me ask if there’s a Lesser Omaha Chamber of Commerce and, if so, can I be on it? 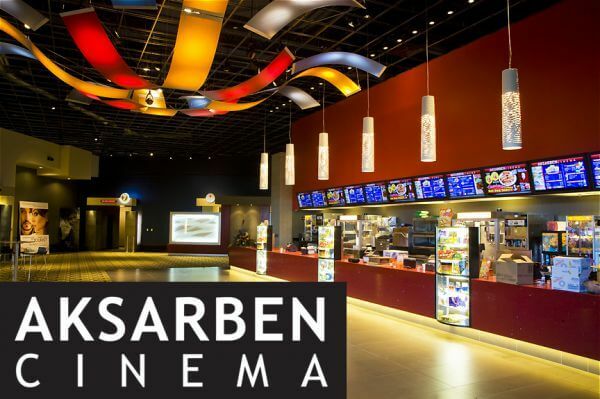 It’s not just that Aksarben does the best job actually showing movies, which it does. It’s that the locally-owned theater does so many great things for the community, from raising funds at the gate for organizations like the Anti-Defamation League to joining with other small businesses for promotion. It’s always a good feeling to see a good business run by good people get the good acknowledgement they deserve. So…good. My favorite arthouse theater is rocking this month too! Film Streams just announced their latest Sights on Sounds series, a music-based documentary series that runs on Sundays at 7 pm starting July 12. It starts with The Wrecking Crew, about session musicians who backed The Beach Boys, Elvis and more. Then Omaha gets some love on July 19 with Heaven Adores You, a documentary about Omaha-native Elliott Smith (spoiler alert: It ends sad). On July 26, all you’ve ever wanted to know and more about the Cambodian rock and roll scene will be explored in Don’t Think I’ve Forgotten: Cambodia’s Lost Rock and Roll. There’s a Q&A with the director following the August 2 screening of The Decline of Western Civilization, which is about the LA punk scene. That’s followed the next week by The Decline of Western Civilization Part II: The Metal Years, which is about, you know, the metal years. A Poem Is a Naked Person is not only a provocative statement but also the name of a documentary about Leon Russell. On August 23, Shake the Dust will give you new insight into Colombian breakdancing. Finally, on August 30, Lambert & Stamp will let you know about this duo who are the “who” behind The Who. Hit up filmstreams.org for more info and tickets. It sure sounds like a great series. I know, I hate me too.